As seen on The Apprentice, BBC 1 Not all Birthing Pools are the same! If you're planning a home water birth MumStuff have sourced the ultimate in quality, reliable and functional birthing pools. 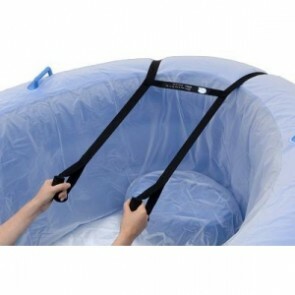 The 'Birthpool-in-a-Box' is a superior birthpool offering 3 independant chambers for safety, a disposable pool liner and comes in two sizes as not all women are the same height. PLEASE NOTE: Please DO NOT select the Special Delivery/ First Class option at the checkout as these items can not be shipped for next day delivery. 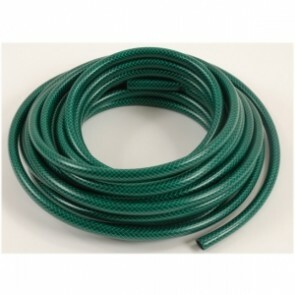 Your order will be dispatched directly from our supplier by DHL 48 Hour Delivery working days and there is FREE DELIVERY on all pools delivered to the mainland UK, for delivery to islands including Northern Ireland please contact us! Unfortunately we can not ship any items on this page outside the UK. Why hire when you can buy quality at these prices?! Undecided? Read about the Benefits of Labouring and Birthing in Water. Water is proven to make labours faster and easier. Birth-Pool-in-a-Box makes it possible for all women to use water for their births at home or hospital. 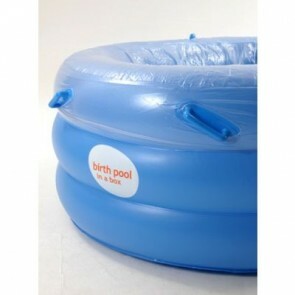 The Regular Birthing Pool is perfect for mums-to-be up to 6' (182cm) tall! Buying a Birth-Pool-in-a-Box: Eco Mini Birthing Pool is a cost-effective way for women to have a waterbirth at home, without the fuss of renting a pool. 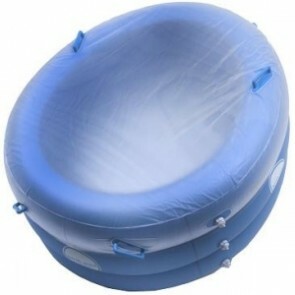 The Mini Birthing Pool is perfect for women under 5'6" tall. Midwives advise that a new liner for the birth is a necessity from a hygiene perspective, so an additional eco liner allows you to do trial-runs without compromising hygiene. 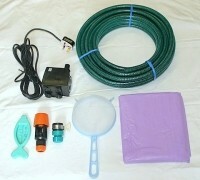 A small kit containing the additional items that might be overlooked! Birth-Pool-in-a-Box found that women asked for additional options for holding or pulling inside the pool, without adding permanent internal handles that create an unwanted obstacle.